Iraq’s parliament was thrown into uncertainty on Tuesday after dozens of parties failed to create a coalition government and couldn’t agree on a speaker or other parliamentary roles. 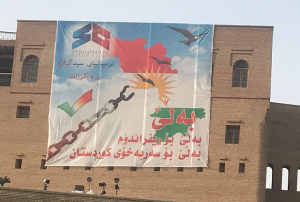 Three months after the country elected its new parliament the country is as divided and ungovernable as ever, with pro-Iranian parties feuding with Washington’s allies and Kurds seeking to regain their rights in Kirkuk. Over the weekend, Iraq’s leading political parties had announced the formation of the “largest coalition” that would form the next government. Prime Minister Haider al-Abadi had formed a giant coalition of 184 MPs (56%), out of the 329 who were elected to parliament on May 12. Some in Iraq breathed a sigh of relief: there would be a new government, finally. In the West, others celebrated. Abadi, the ally of the US, had brought together Muqtada al-Sadr and a bunch of other parties that might give the pro-Iranian parties the cold shoulder. Just hours after Abadi’s allies were whispering to media about forming the next government, his rivals said they had also formed the largest parliamentary bloc. Fatah alliance leader Hadi al-Amiri, and former Iraqi Prime Minister Nouri al-Maliki and his State of Law coalition said they had found 145 supporters. The two large groups are still vying to govern Baghdad. Abadi never thought he’d have to face this kind of a challenge. Last year he was the victorious Iraqi leader who had defeated ISIS in Mosul. In September he also opposed the Kurdistan referendum and sent his US-trained army to grab Kirkuk from the Kurdish parties that had controlled it. Abadi seems to be saying “I will show the Kurds who is in charge.” He also patched up relations with Saudi Arabia after decades and was able to position Iraq as sitting astride the region’s fault line between Iran and the Sunni states. But in May Abadi’s inaptly named “victory” list came in third. Sadr, the Shi’ite cleric who once fought the US came in first; Amiri, the pro-Iranian former leader of the Badr Brigades, came in second. Since May, the US and Iran have both struggled to put their allies in the seat of power in Baghdad. Although Abadi and Sadr were not ideal candidates for US allies in Baghdad, the former having been close to Iran in the past and the latter, having fought the Americans, were seen as the lesser of two bad choices in Washington as the Trump administration maneuvered to isolate Iran. In June it looked like an Abadi-Sadr coalition would be formed. But then nothing happened. ISIS stepped up attacks, and economic protests swept southern Iraq. Despite sitting on a sea of oil, the Iraqi government has squandered resources over the years and is recovering from the war on ISIS. It needs billions to rebuild. In the South, protesters say oil wealth is being siphoned off by Iran, with Iraq paying electric bills to them and water shortages a common occurrence. In July, Iran even cut power exports to parts of Iraq. It took until August 9 for recounts of the ballots to be completed, and the Iraqi Supreme Court ratified the results on August 19. Now the parties had 90 days to create a coalition government. Pressure mounted in Baghdad to come up with a coalition. US anti-ISIS envoy Brett McGurk flew to Erbil and Baghdad in what appeared to be a US orchestrated effort to influence an Abadi-run coalition. At 11 a.m. on Tuesday parliament reconvened but chaos soon ensued. The parties couldn’t settle on a speaker of parliament. The parliament was then postponed until September 15. There are three main problems facing Baghdad today. In southern Iraq a protester was killed over the weekend as activists in Basra continue to demand basic government services. Abadi has sought to strong-arm the Popular Mobilization Forces (PMF) of Shi’ite militias that are loyal to Amiri. These militias are an official part of the government structure but the Fatah Alliance seems to have been trading their role for votes, promising to take them out of cities in Nineveh to secure Sunni support. A new report over the weekend leaked to Reuters, likely designed to embarrass the PMF, claimed they have Iranian missiles. Abadi has denied the presence of the missiles. But this brings tensions with Israel into the political story as it has opposed the Iranian influence and weapons transfers from Iran via Iraq to Syria. The Kurds in Iraq are also central to the negotiations. Kurdish parties feel they were betrayed in 2017 after their independence referendum. The US turned its back on Kurdish allies as US-supplied tanks rolled into Kirkuk alongside Amiri’s Shi’ite militias. Now Kurdish parties like the Kurdistan Democratic Party want guarantees for them to support the new coalition. But some of the smaller Kurdish parties have already signed on with Abadi’s bloc – and his own party appears to be at risk from within as some of his members have sat down with Maliki, Abadi’s former ally, to talk politics. Al-Sumaria TV had a salacious story about one parliamentarian who was offered millions of dollars to join one of the coalitions. Iraq’s coalition building is important. First, it shows that the country is a democracy, whatever its faults. Second, it illustrates how the country is on the fault-line between the US and Iran and how this competition is pulling the country in two directions. Third, it reveals how the Kurdish political leaders have sought to demand that their rights be respected in any coalition agreement. 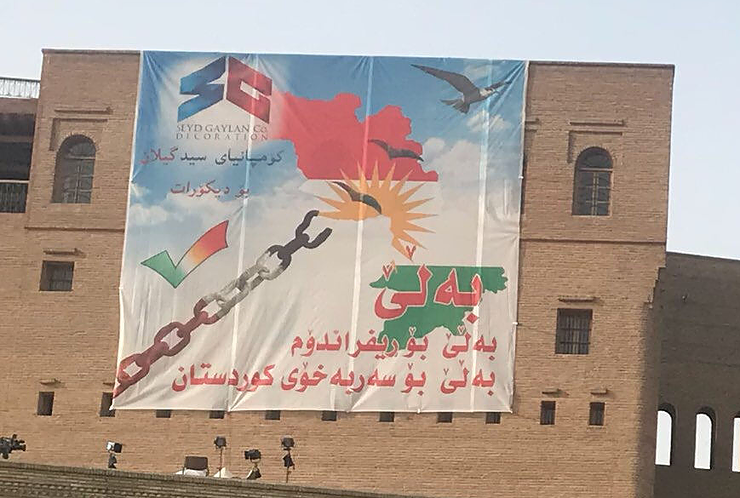 For years Kurdish demands, such as their constitutional rights to Kirkuk, have been ignored as the US has sought to ally with Baghdad’s Shi’ite-majority government. This is because Washington wants to back a “strongman” in Baghdad with the hope that this would bring stability to Iraq. Kurdish demands are seen as getting in the way, even though the Kurdish region has been a close US ally and free from the extremism and many of the problems that the rest of Iraq has. Now Baghdad faces another problem. Abadi spent 2016 and 2017 incorporating the Shi’ite militias into the government even though he was warned not to let these sectarian groups, accused of human rights abuses, get the imprimatur of government authority. Now he finds himself at odds with the militias and wants to assert his authority. Meanwhile, southern Iraq is on fire with protests that have revealed the degree of government mismanagement, corruption and infrastructure failures. Iraq looks to be as ungovernable and unstable as in the past. This is good news for Iran, which likes to work in the shadows with local proxies. But it’s bad news for America that wants an ally in Baghdad and the Kurdish capital of Erbil.